Flag of the United Kingdom - also known to the British as a Union Jack, has been used since 1603 when the Scottish King James VI became the king of England. The symbolism of the flag expresses the linkage between England, Scotland, and Wales. The central theme is a red cross of St. George, who is considered to be the patron of England. The cross is fringed by wider white cross and everything is set in a blue background. The white diagonal cross should remind of St. Andrew, the patron of Scotland. Ireland is represented by a red diagonal cross, which is the symbol of the Irish patron St. Patrick. The Irish cross has not been added until 1801, when Ireland became a member of the United Kingdom. 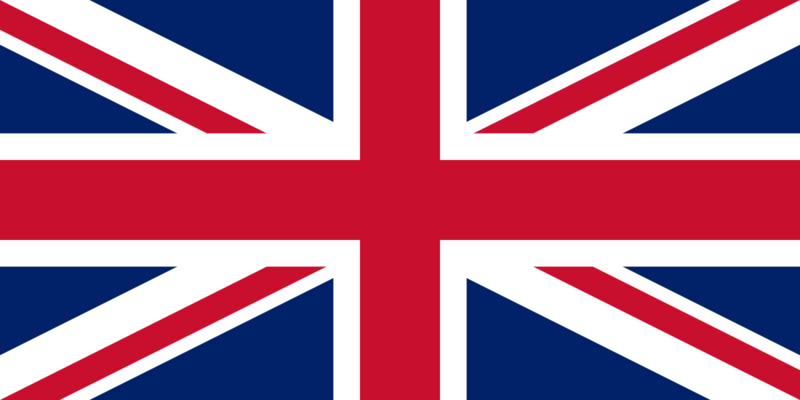 Union Jack motif can be found on many flags as a reminder of Britain's past as a colonial power.